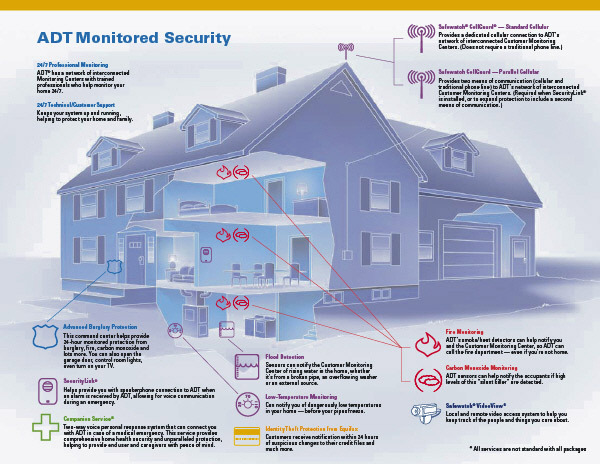 Residential security solutions from Protech Security Co., Inc. include security cameras, burglar alarms and 24-hour monitoring services. Your home is where you should feel the safest. We understand that nothing is more important than the protection of your family and home. No one plans on being a target for a robbery but it happens, LET US HELP YOU PROTECT YOUR HOME BY PROVIDING a complete and comprehensive security solution for your residence. We’ve devoted ourselves to providing the finest residential security services, so you can sleep soundly knowing ADT IS THERE FOR YOU! Contact us today and ask about how we can partner up to build and create homes with great value!